Cross-country skier who won the 20001 FIS Nordic Junior World Ski Championships and won his first World Cup stage race at the 2016 Tour de Ski. He has competed for the Norwegian sports club IL Varden. He attended Meraker High School in Midtbygda, Nord-Trøndelag, Norway. He has been endorsed by Fischer Sports. His parents are Unni and Ole Iversen. 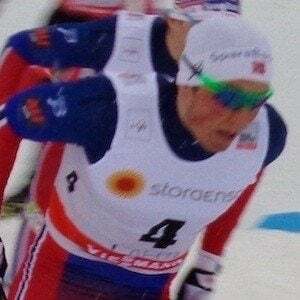 He and Therese Johaug have both competed for the Norwegian Cross Country Elite Team.